Tesfaye Dadi, Human Resources Officer for the Oromia Regional Health Bureau (RHB), typed a series of keys on his laptop before he looked up and smiled. His desk, and those of his other colleagues in the expansive well-lit room, looked tidy and spotless. Documents were neatly stacked in lock-and-key shelves. A networked Hewlett-Packard printer was accessible on one of the shared tables. He was eager to get to work. 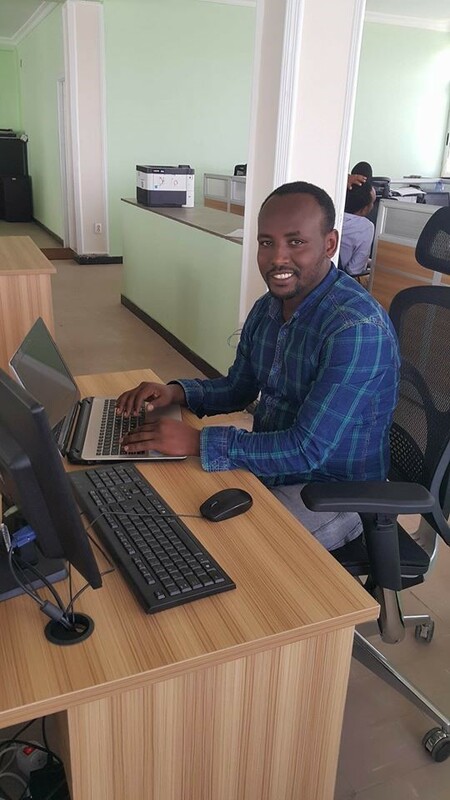 With a smile on his face, Oromia RHB Human Resources Officer Tesfaye Dadi enjoys the new workspace environment that has improved the bureau’s efficiency in providing quality human resource services to health workers in his region. But Oromia—one of the largest RHBs in Ethiopia serving tens of thousands of health workers—has not always functioned so well in the 7 years Dadi has worked here. “All offices at the RHB were congested. The paper files and office furniture were not properly arranged, making it difficult to clean, and there was a poorly functioning air conditioning system,” Dadi said. He recalled the previously overcrowded and poorly equipped office, which led to time wasted and poor customer service for the health workers who often traveled hundreds of kilometers to the bureau to process paperwork for recruitment, transfer and promotion. The RHB office also manages licensing and registration, educational opportunities and capacity-building of health workers from across the region—including zonal health departments, district health offices and health facilities. Understanding the importance of quality services to health workers whose time would best be spent saving lives rather than chasing employment files at the RHB, Dadi and his colleagues teamed up with the Strengthening Human Resources for Health (HRH) Project, funded by the United States Agency for International Development (USAID), to spearhead efforts to improve Oromia RHB’s productivity and ability to provide timely customer-oriented and employee-friendly human resource management services. Dadi and his team, with support from the HRH Project, followed the lead of the Ethiopian government and adopted the kaizen workspace organization philosophy—a Japanese business improvement practice —to identify the needs and gaps in their area. They then developed a plan of action, which was later endorsed by RHB management. This was followed by the training of 86 staff—management officials, middle-level managers and experts from all work units at the RHB—between February 2015 and June 2016 on how to apply kaizen principles. The team then applied the principles, followed up on activities and provided coaching and mentoring to improve the working environment. 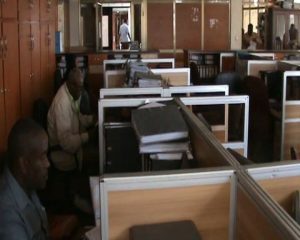 “Recognizing that the work environment is an important determinant of job satisfaction, motivation and productivity, the government of Ethiopia introduced kaizen in the public sector to make work spaces pleasant. Since the HRH Project is tasked to improve motivation and retention of health workers, it supported the government’s efforts to improve work climate,” Dr. Tegbar Yigzaw, HRH Project Deputy Chief of Party, noted. The efforts have paid off and Dadi has every reason to smile as the “RHB is a much more pleasant working environment,” he said buoyantly. The seating arrangements have been adjusted to meet staff needs and offer the best customer service experience. New furniture and metal sliding shelves for storing records were procured; and a fresh coat of paint was applied. Staff members no longer complain about the lack of fresh air. They have also improved their document and personnel filing systems. “Today [because of workspace improvement] human resource performance and productivity, service efficiency, staff motivation, job satisfaction and staff engagement have increased. We have also developed a good environment for the achievement of a transparent and accountable human resource management [system],” he added. 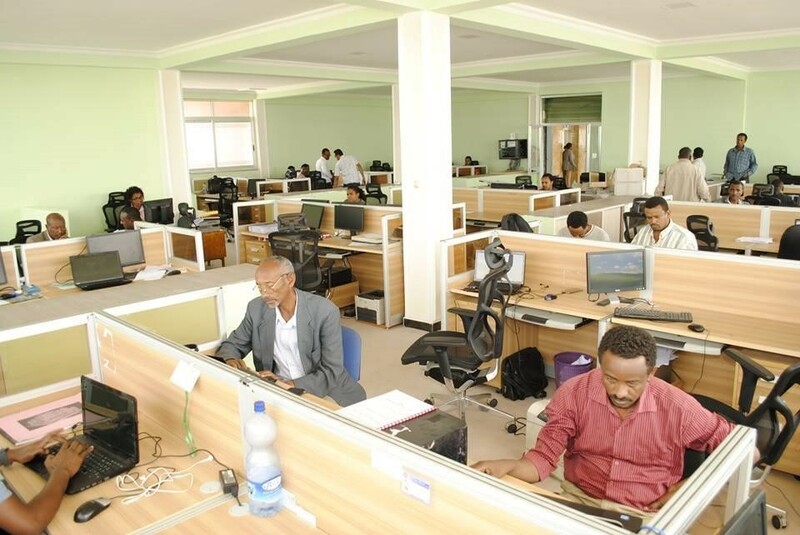 Thanks to USAID’s HRH Project, the Oromia RHB office now has a more pleasant working environment. The seating arrangements best meet the needs of staff and for customer service delivery. New furniture and metal sliding shelves for storing filing were procured; and a fresh coat of paint was applied. Staff members no longer complain about the lack of fresh air. They have also improved their document and personnel filling systems. Before the renovations, the Oromia RHB office was congested. Documents and office furniture were not properly arranged, making it difficult to clean, and there was a poorly functioning air conditioning system. Speaking of motivation, Dadi was recently promoted to Head of the Motivation and Retention Unit at the RHB. Furthermore, he and his colleagues are now enjoying their new office setup and feel much more efficient at work. Their team is now better poised to respond to health workers’ requests and provide them with the human resource support they need to efficiently complete their jobs at health facilities. And “we have decreased the grievances from our clients as compared to before,” Dadi summed up. The HRH Project is led by Jhpiego with its partners Management Sciences for Health, the Ethiopian Midwives Association, the Ethiopian Association of Anesthetists, the Open University and Project Mercy. and Charles Wanga, Senior Communications Specialist—Africa Region, contributed to this story.